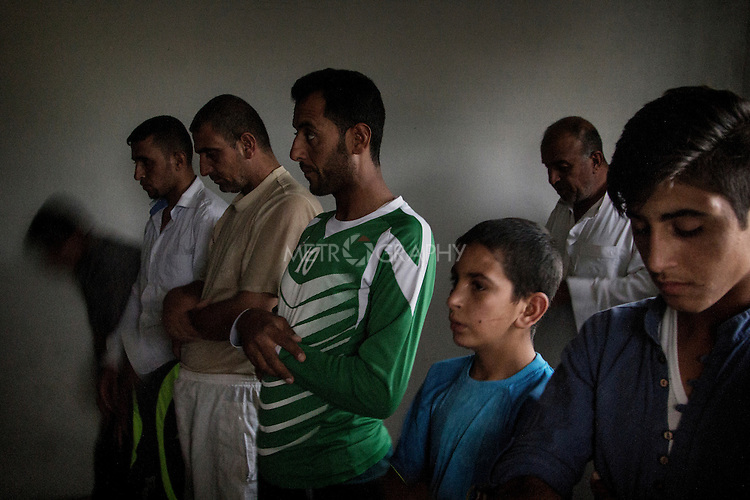 04/07/2015 -- Dibaga-Makhmur-, Iraq -- A group of displaced men from Jarallah village pray before Iftar during the holy month of Ramadan inside a room which was turned into a mosque, at the chicken farm in Dibaga. All the villagers are Sunni Arab. They are very religious and pray five times a day accordingly to the Quran.